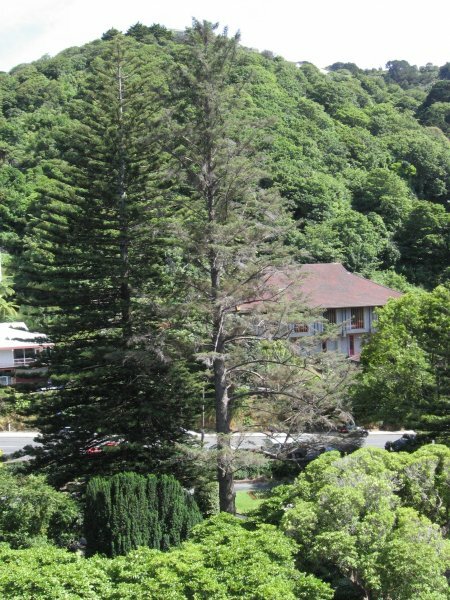 'Considered the largest tree of its type in the Wellington region. Despite its age, still in reasonable condition, though die-back is occurring. 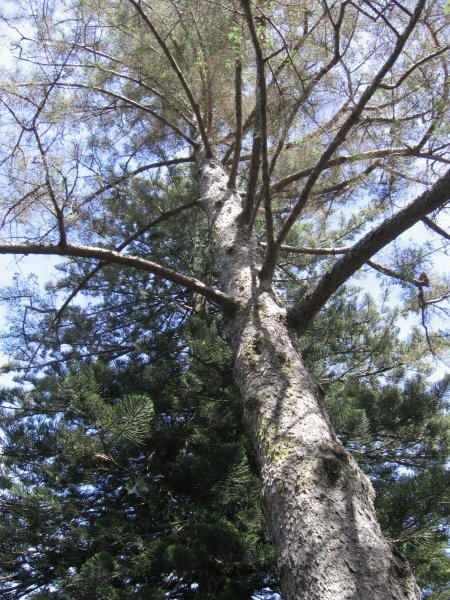 Another tree of seemingly the same vintage is present in D.16'. Mole 1985. 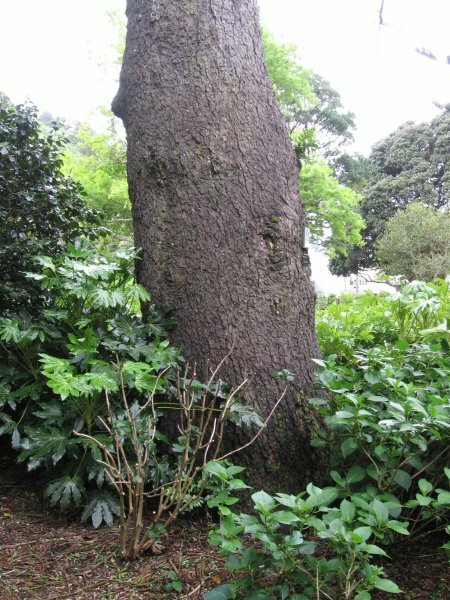 'An outstanding tree seen to advantage from the front entrance of the Botanic Garden'. Burstall 1969. Reference. Burstall SW. FM. Report no. 20. 1974; p.44. Burstall SW & Sale EV. 'Great Trees of New Zealand' 1984; p.220. Very sparse canopy (Nov. 2011). 18 Nov 2011 Cadwallader, B.G. 01 Jan 1985 Mole, R.H.
A short distance from the main gate off Glenmore Street.